These parks have restrooms or vault toilets. Some areas have water, but none have electricity. Boat launches provide access to the reservoir. 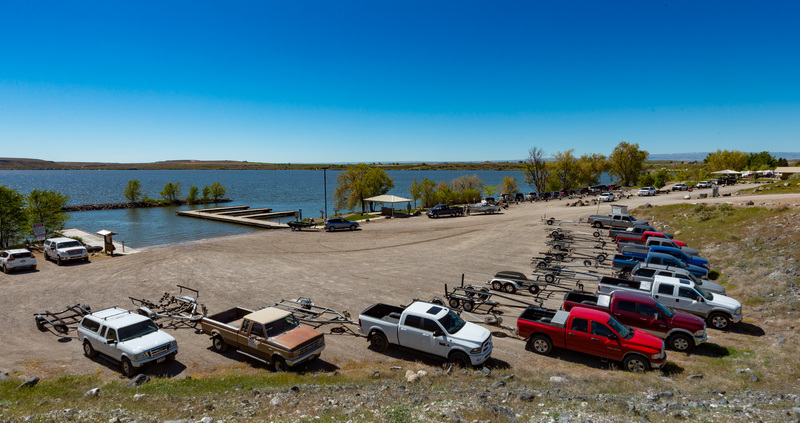 The Idaho Department of Fish and Game (IDFG), Bureau of Land Management (BLM) and the U.S. Air Force (USAF) manage all other recreation areas near the reservoir. Camping using tents or recreational vehicles (RV) is allowed in developed campgrounds and undeveloped areas near the reservoir. Stays are limited to 14 consecutive days. Our campsites are offered on a first-come, first-serve basis. See our Camping Policies. Obey posted campground rules and keep motorized vehicles within the posted speed limit. The C.J. Strike Power Plant is on the Snake River, southwest of Mountain Home, Idaho. The plant has a total nameplate capacity of 89,000 kilowatts (kW). We have closed public access to the face of C.J. Strike Dam, the spillway area, the spill gates and the intake (or penstock) structure due to safety and security concerns. C.J. Strike was named after former Idaho Power President Clifford “C.J.” Strike. The project was completed in 1952. Youth hunters have the chance to hunt mourning dove, California quail, ring-necked pheasant and waterfowl during the normal waterfowl and upland game hunting season. Use the C.J. Strike Wildlife Management Area (WMA) brochure and map to learn more about this area. Visit the BLM’s website to find out more about recreation in southwest Idaho, including C.J. Strike Reservoir. Jaw tagged rainbow trout have been stocked in the Snake River between Shoshone Falls and C.J. Strike Dam. We stock these waters each year with rainbow trout to improve sport fishing. Many of these catchable-sized stocked fish are fitted with either one or two metal jaw tags. You could earn a reward and be entered into a drawing for $1,000 by reporting the tags. Visit our Fish Tag Information page for details.